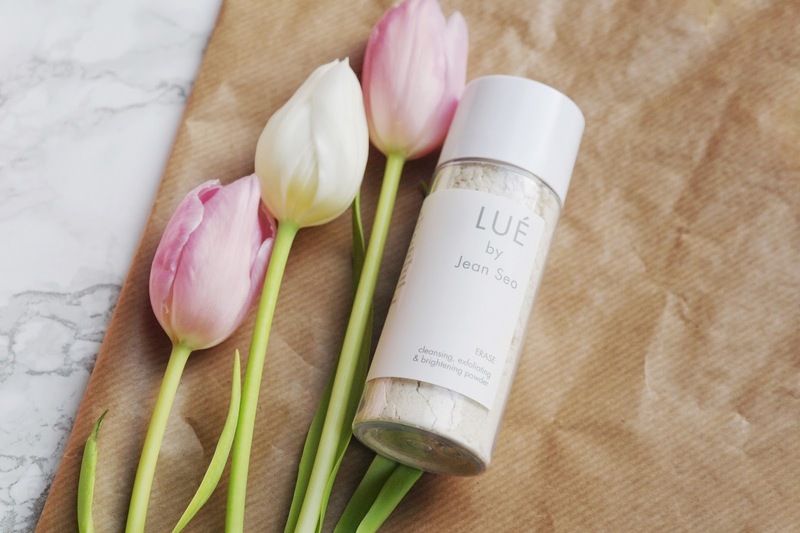 You may remember last month where I discovered Lué By Jean Seo, but seeing as I have been using their Erase Exfoliating and Brightening Powder over the last couple of weeks I though that I would dedicate a whole post to this wonder powder. 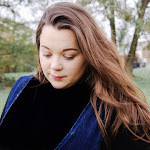 Natural beauty products are something that I can't simply get enough of at the moment, whether it's a new hair care range, a face mask, lip butter or body cream. When it comes to natural products there is a big focus on face oils, creams and hair care, however when it comes to those with dehydrated and sensitive skin they tend to miss out. So it was quite exciting to discover this wonder powder in a beauty box last month, I am not sure I would have picked up Lué had it not been introduced to me by Glossy Box, but it is definitely worth a second look, that’s for sure. Every skin type requires exfoliation to stay healthy and function at its best, but those with sensitive skin need to take extra care when it comes to exfoliating. Traditional scrubs can leave sensitive skin red and irritated, and being someone who has to battle this every time I exfoliate I am always looking for something that is kinder to my skin. Erase Exfoliating and Brightening Powder is an enzyme powder face wash that uses a combination of active enzymes and fine smooth powders to gently buff them away while you cleanse. Now I must admit, an enzyme powder is not something I have ever come across until discovery the powders in my beauty box last month, but I can already feel that this Erase is going to be one product that I keep in my routine. This Erase Exfoliating and Brightening Powder contains just three simple ingredients: nonfat milk powder, finely milled whole grain oats, and magnesium carbonate. Milk contains gentle enzymes which help the oat powder exfoliate skin deeply, as well as nutrients to nourish skin. This powder is made from fine ground oats for a deeper exfoliation, and seeing as the powder is grittier than most you should only use this two to three times a week. This cleansing, exfoliating and brightening powder smells and feels a bit like porridge. You start off by mixing one tablespoon of powder to half a tablespoon of water and mix into a paste. You can either do this in your hand or in a bowl, I prefer to making up my paste in a bowl before applying to my skin with a foundation brush, ensuring that I get into the creases and over my pores. While the mixture is still damp is when you give your face a little massage to lift impurities leaving skin clearer and brighter in minutes. Once massaged in to the skin you need to leave the mix to work for about a minute, during that time you will feel it dry and the skin will feel slightly taught but not uncomfortable at all. After the time has passed you can remove with water or a wash cloth, your paste will come away almost like an eraser peelings. Erase is a powder cleanser is made from oats, milk powder and magnesium carbonate. Three ingredients nothing more. This wonder powder removes the top layer of dead skin cells with blackheads all whilst removing other impurities without irritating leaving my skin cleaner and brighter. But this is not like just any exfoliator though, it actually helps bring the newer skin to surface by healing blemishes, lightening scarring and hyperpigmentation, and removing fine lines. I have been using this two to three times a week and I can honestly see a difference to my skin, I do feel as if I have a long way to go in hydrating my parched skin. But it's definitely an improvement. Erase is a brilliant product for resetting the skin, it looks brighter, it feels softer but it doesn’t feel stripped or begging for moisture. 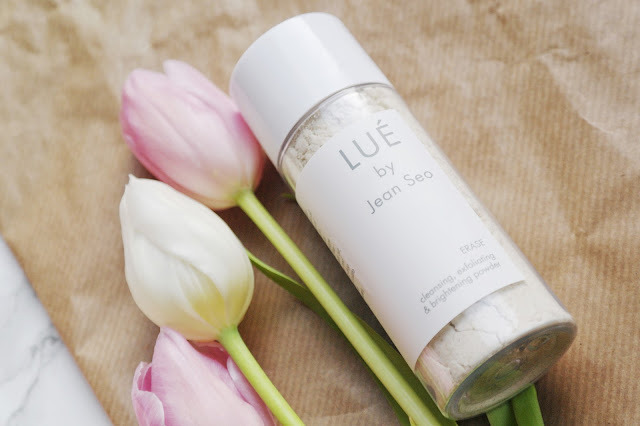 Have you ever used Lué By Jean Seo? Or an enzyme exfoliator? 16 comments on "Lué by Jean Seo Erase Powder"
This sounds lovely, similiar to the Dermalogica Microfoliant I imagine. I love powder exfoliators, they are so gentle but effective! I’ve heard so many good things about this brand and I have got to try them ASAP!! I had never heard of anything like this before! I love the fact that it has such simple and easy to understand ingredients! Definitely going to do a bit of research on it and see if I can try it out! Oooo this sounds lovely and the packaging is gorgeous!